If you want to improve your sales numbers, you won’t want to miss this Daylite webinar hosted by our friends at PureMac in Australia. 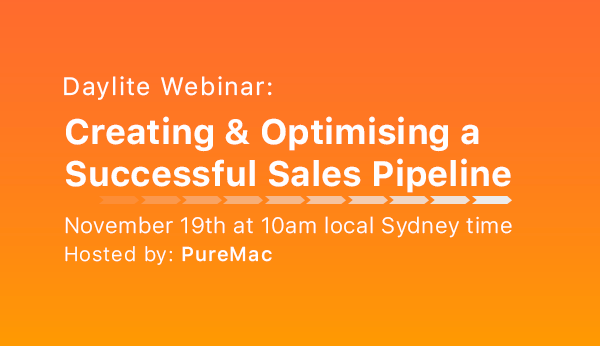 Monday November 19th at 10am local Sydney time our friends at PureMac are hosting a free 90-minute webinar to help you learn how to leverage Daylite to create and optimise a successful sales pipeline. If you want to start closing more deals, register now to save your spot for this free webinar!